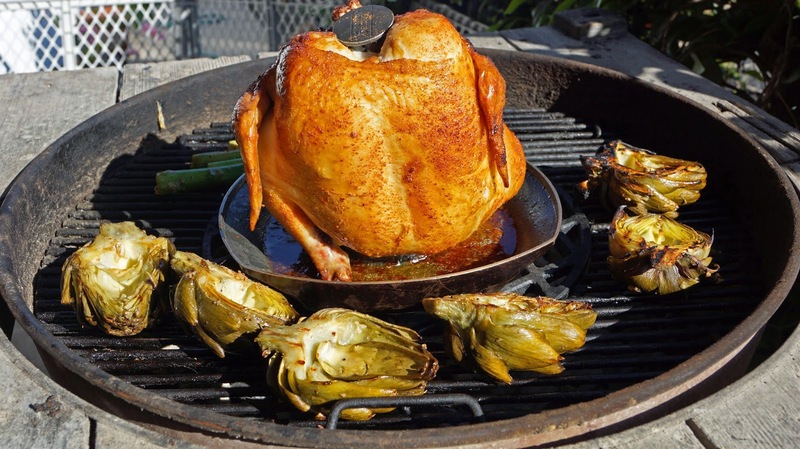 Barbecue is not a food you associate with Marin. 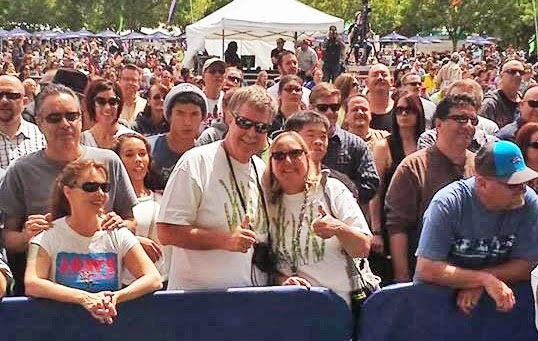 In fact Marin County has a reputation of being a very liberal, vegan eating, tie dye wearing and uber politically correct group of whackjobs. 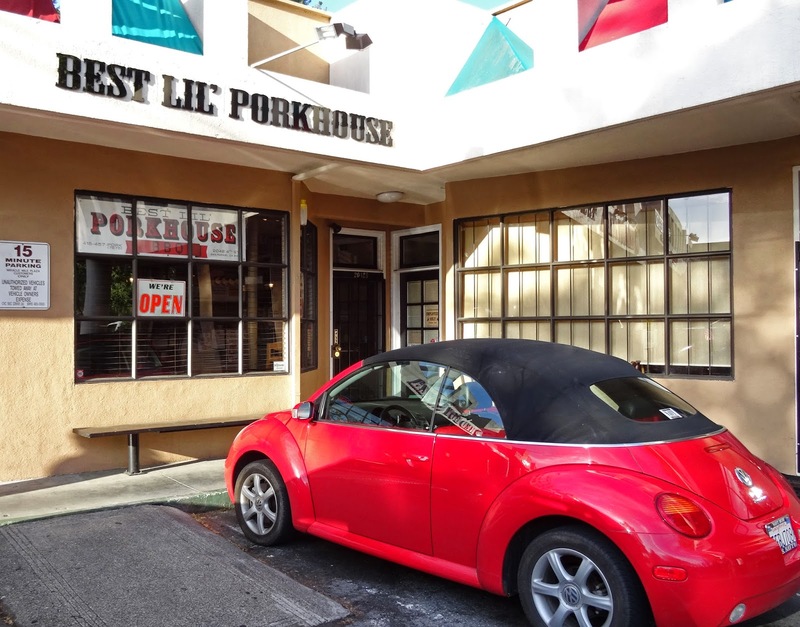 'Best Lil Porkhouse' probably had to jump through hoops to sell bbq in this area. In fact we did find out later they have to use electric smokers so as not to slight the pristine Marin air quality. In the name of barbeque we stepped through the doors and braved this establishment. 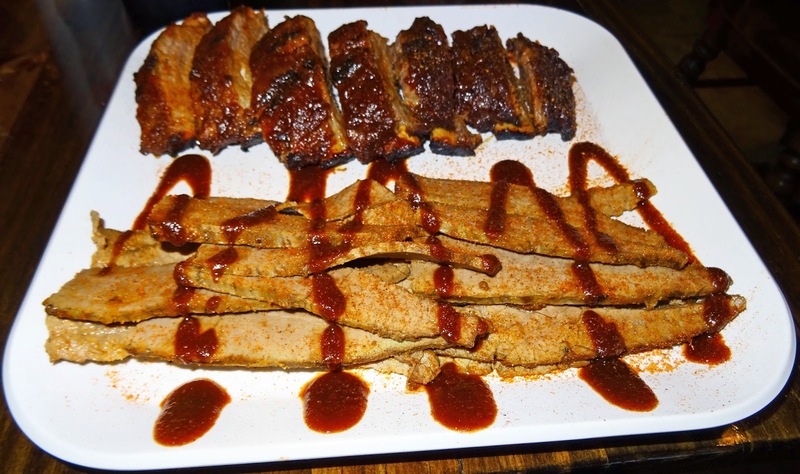 Best Lil Smokehouse is located in a small strip mall on the main thoroughfare I am sure they are not called strip-malls but maybe urban shopping piazza. The setup is a little different. You order in a small kitchen area and then go to a dinning room which is two shops away. We ordered our usual bbq items from the owner's son. He was very friendly and answered our numerous questions. The tables had a group of house made sauces. 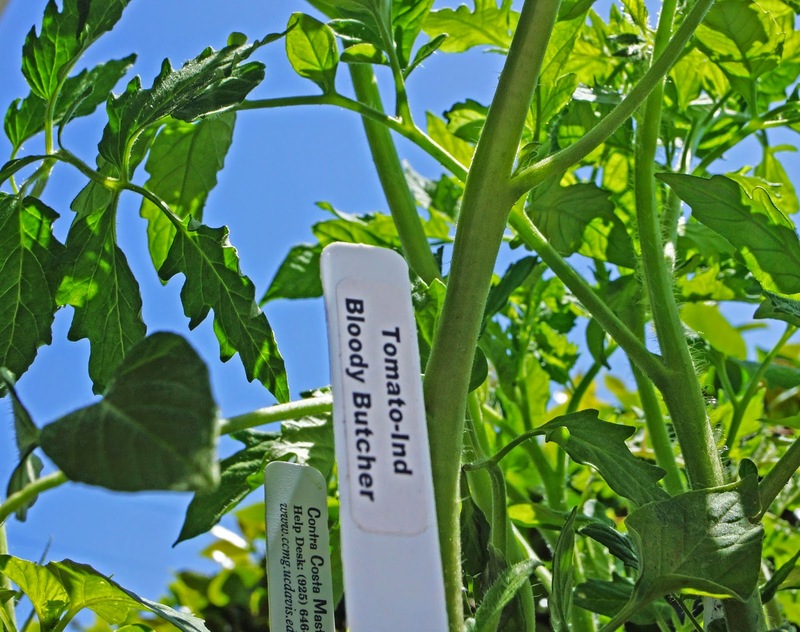 I really enjoyed the sauce that refereed to Satan on the label. It was sweet and balanced with just the right amount of heat for this chilehead. There were also good tasting sauces for the chile challenged including a very flavorful mustard based sauce. The table also had the bbq staple roll of towels to mop up all the wayward sauce and bbq love from your mug and extremities. After a short wait our food arrived. Both of our plates looked delicious. They were not only good looking but huge.Ms. 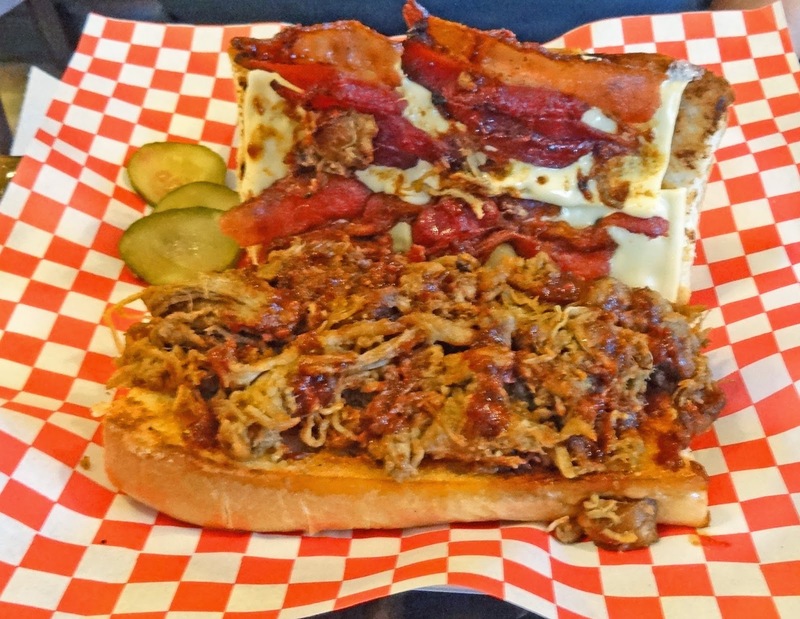 Goofy ordered the "Porkhouse Melt"; a sandwich of pulled pork, bacon, and cheese. The pulled pork was smoky good with pieces of bark diapered throughout' (Bark is the candy like crust of the pork roast). Ms. Goofy devoured this with a side of some of the best Mac & Cheese ever. 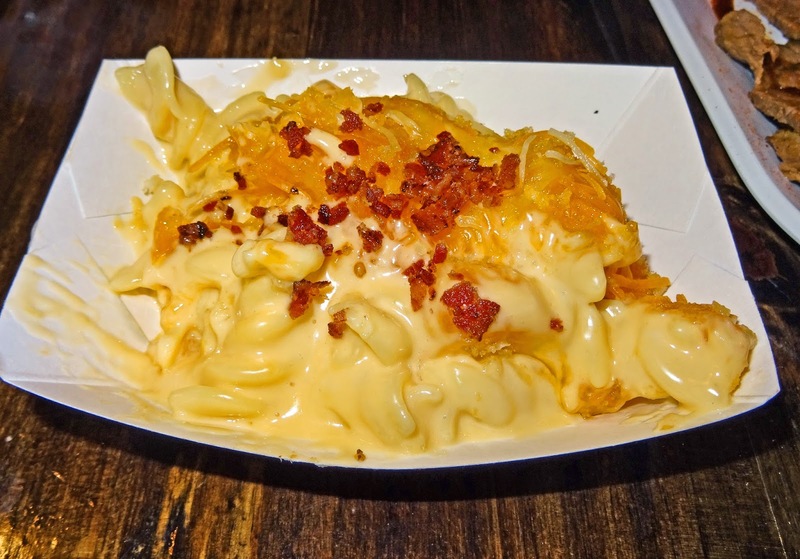 Ms. Goofy may be a Mac & Cheese aficionado and this was very good. Bonus point were awarded for the bacon crumbles on top. Ribs and brisket filled my large platter. These were baby back ribs. 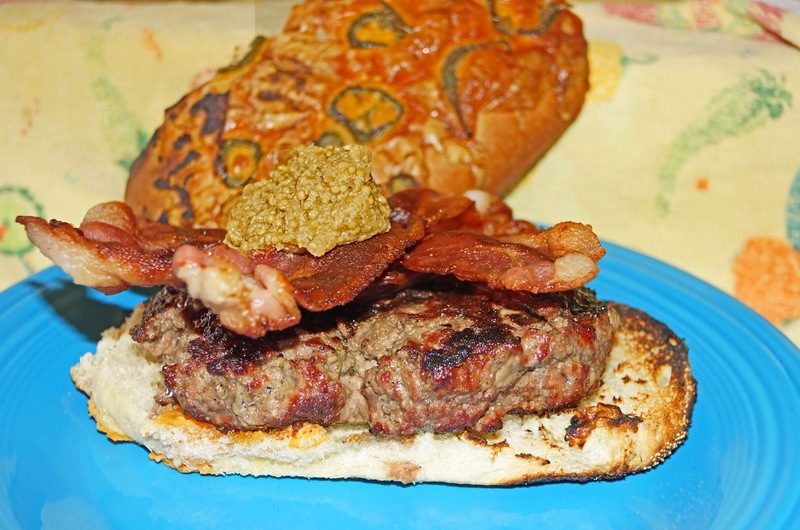 They were meaty and had a flavorful crust achieved by a spicy dry rub. They did not need any sauce. The brisket was decent enough but not memorable. It was tender but not smoky or a beefy flavor that I crave. This meat was a good vehicle to sample the house made sauces. My side of beans had an unusual twist of having bell pepper in it. At first I was a little concerned with this odd ingredient but it seemed to work. The coleslaw and corn muffing both were decent. 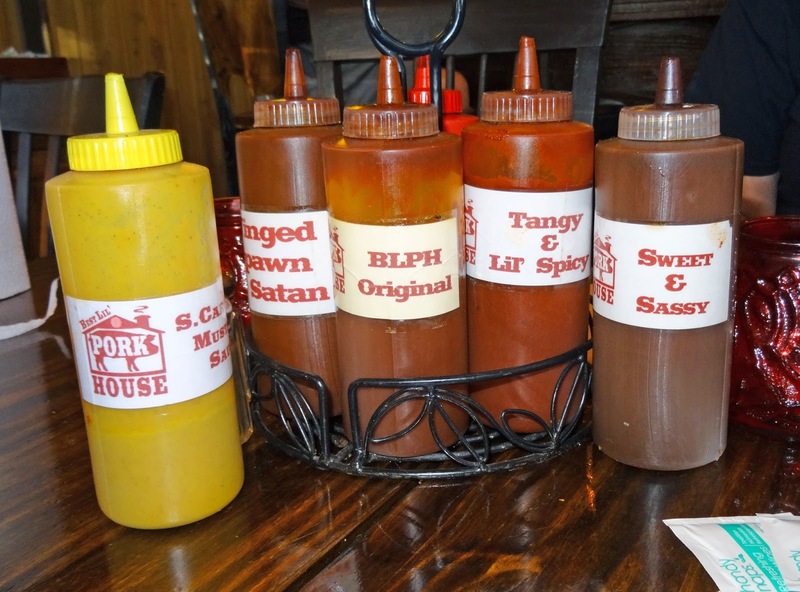 The Best Lil Smokehouse brings very good barbeque to Marinites. The local populace may have to wear disguises so they will not be recognized enjoying meat and enjoying an American food icon without guilt. The Best LIl Smokehouse has another location in Corte Madera were they can use real wood burning smokers. They are also opening another location in Alameda soon. 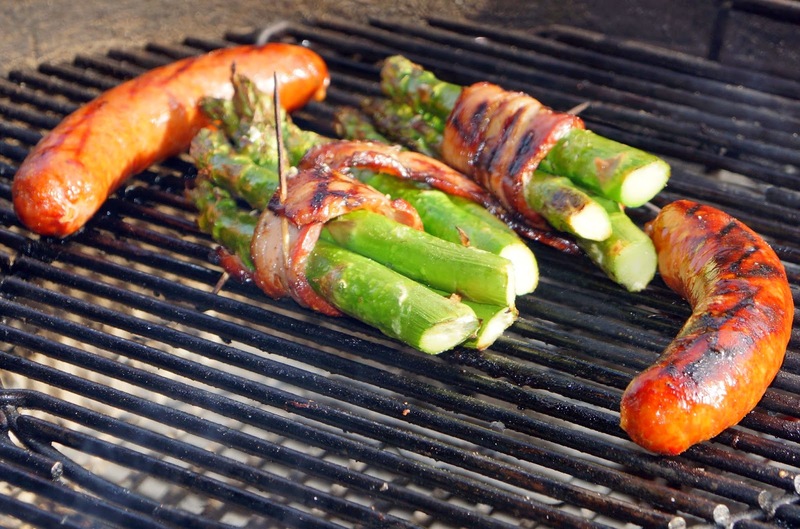 They are doing barbeque right to have this success. We enjoyed our meal and may visit the new location when it opens. We need to leave Marin before the politically correct police come. Having a sweet tooth, curse or never ending pleasure? I choose the latter. Cakes, cookies, pies, and especially pecan pies are foods that I adore. Whenever we come across a new or special bakery we like to explore. 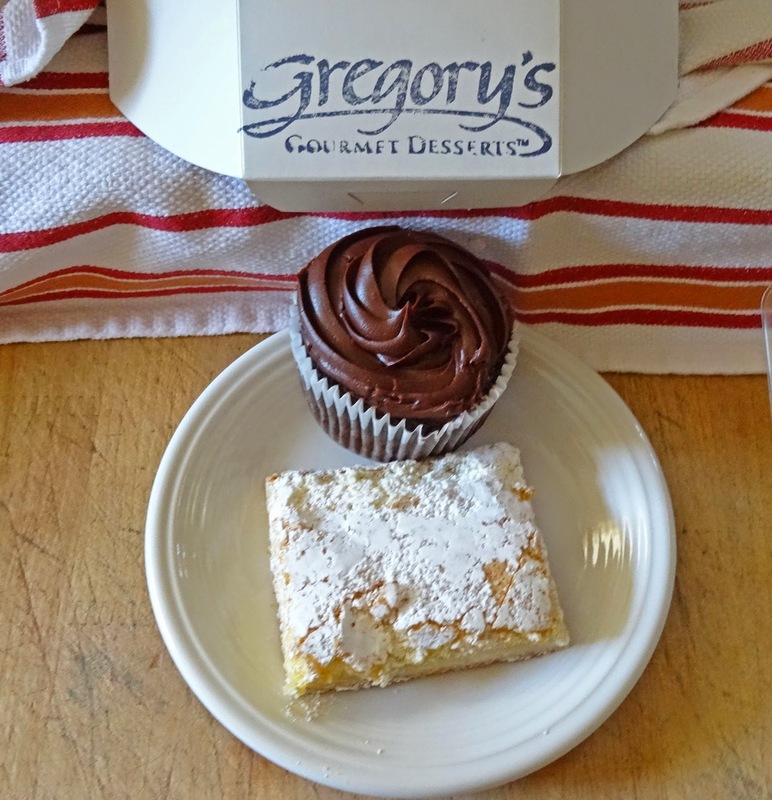 'Gregory's Gourmet Desserts' is our latest find. This may be categorized as an 'Underground Bakery' literally. 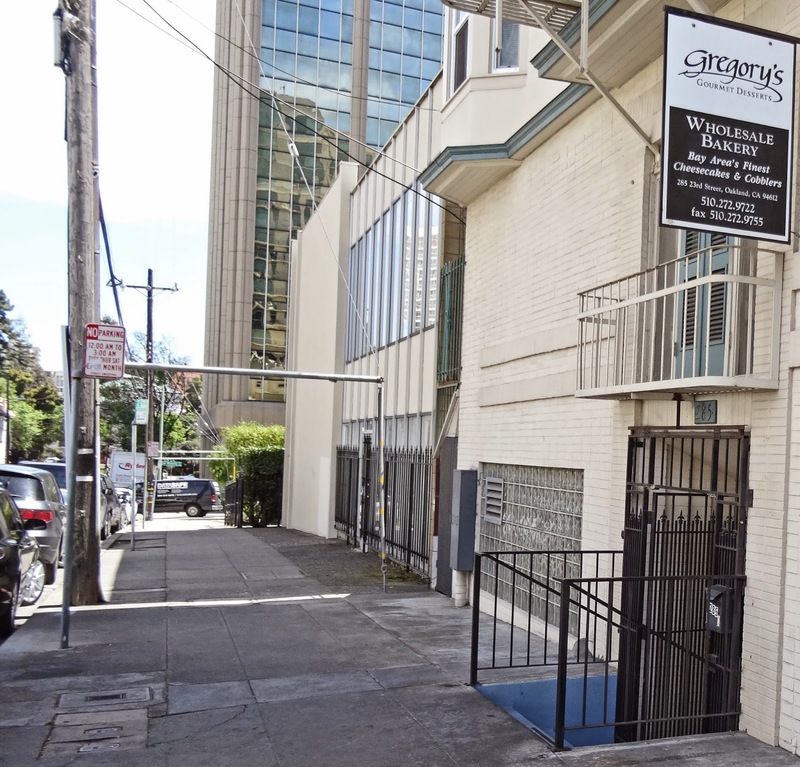 Gregory's is located on the edge of the inner downtown Oakland California. It is tucked away on a side street by numerous parking structures. There only is a small sign to indicate your arrival. Even then you will not be sure there is a bakery. There is no storefront but only a short flight of stairs leading to a unmarked door. Gregory's is only open two days a week and for only a couple of hours. Yes, this is an 'Underground Bakery"
Our parking karma was present, sort of. 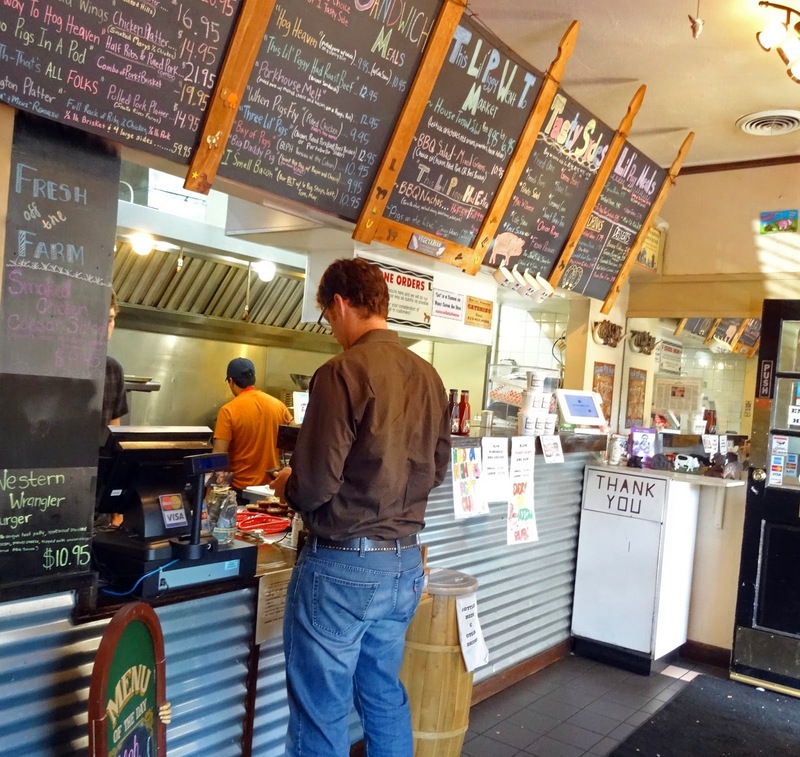 Gregory's is located around numerous parking structures. These lots offer all day parking for the local downtown workers. It did not seem prudent to pay fifteen dollars to pick up some sweets so we looked for the very few metered spots on the street. We circled the block and decided that I would get out while Ms. Goofy revved the engine double parked out front. While I was inside a spot did open up on the same block. The streak lives on. You descend a short flight of stairs and open the door. I was not sure what to expect. I was wondering if you needed a password. The door opened to a familiar odor of sweet baked goodies. I had to be careful opening the door because there was another person inside. We did the dance through the door and entered a very small hallway. 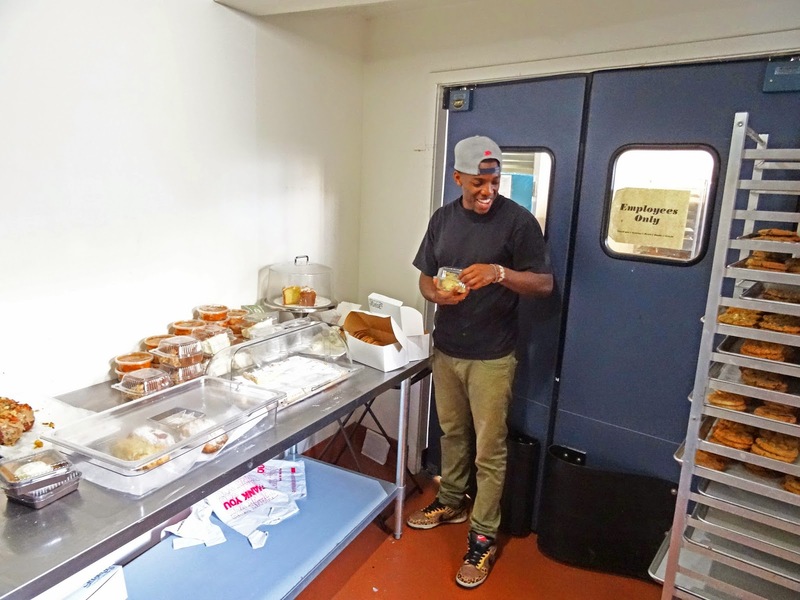 This hallway had a table and a couple of racks with numerous baked goods. That is all she wrote,this place is tiny. A very helpful clerk excitingly told me about the products and offered a couple of samples. It may of been unfair to offer these samples because of my sweet-tooth weakness. 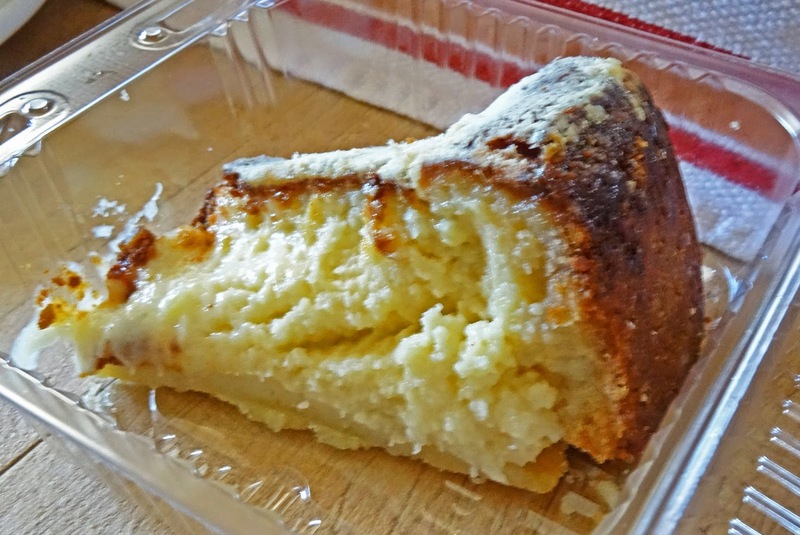 Gregory's is known for their decadent cheesecake. I can personalty vouch for that. Cookies are just like mom used to make. We had a chocolate cupcake that would satisfy any chocolate fiend like myself. Ms. Goofy had a lemon bar that was great but she longed for a little more lemon sweet goo. We plan to return very soon. There are so many more sweets to try. I just hope our parking karma has not run out. 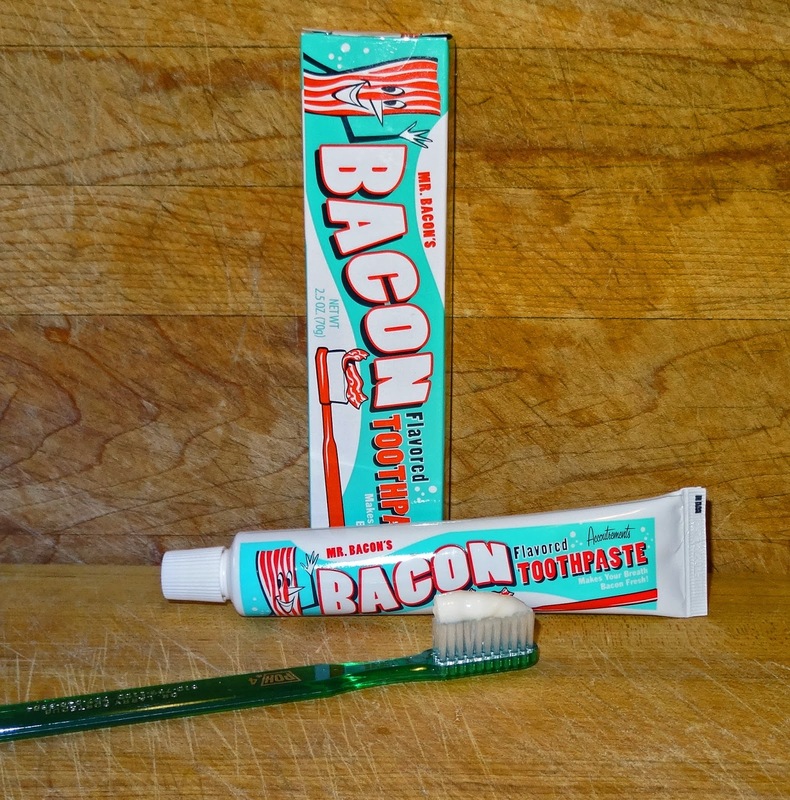 Another familiar product has jumped on the bacon band wagon. 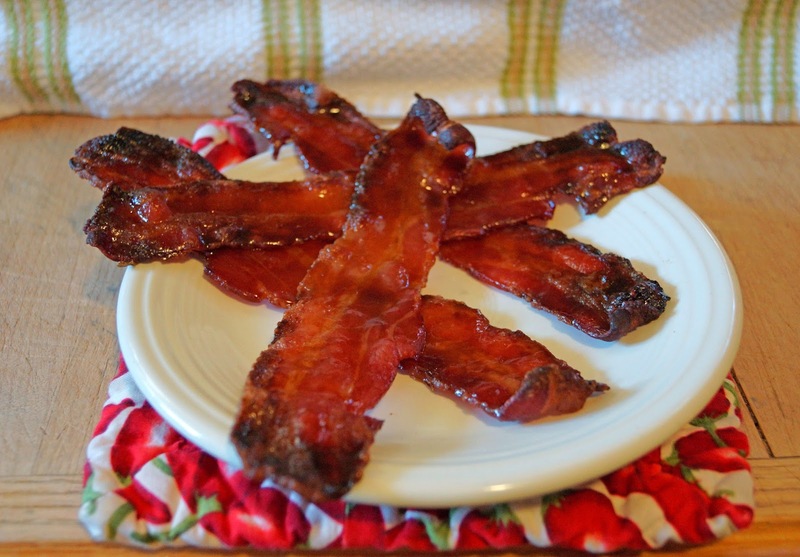 Ritz crackers, everybody's favorite snack cracker has cashed in on this bacon phenom. This time I refuse to read the ingredient list because of past disappointments. 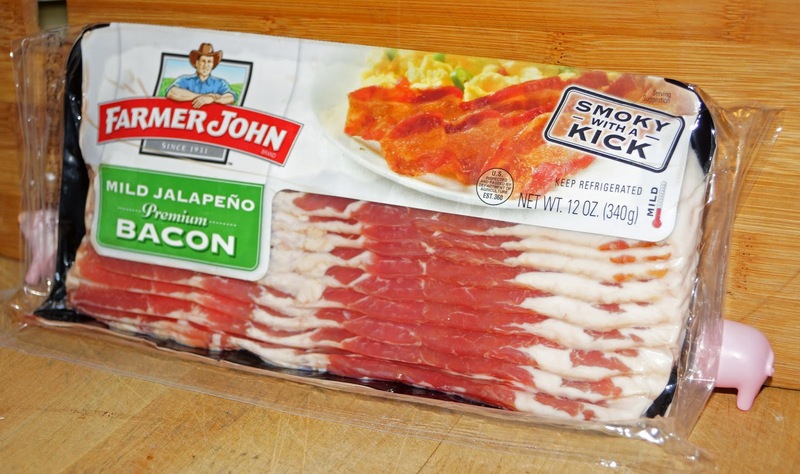 They do have a smoky bacon like flavor. They are just as addicting as the original flavor. Let's make them into a sweet, salty dessert bar called 'White Trash Bars". 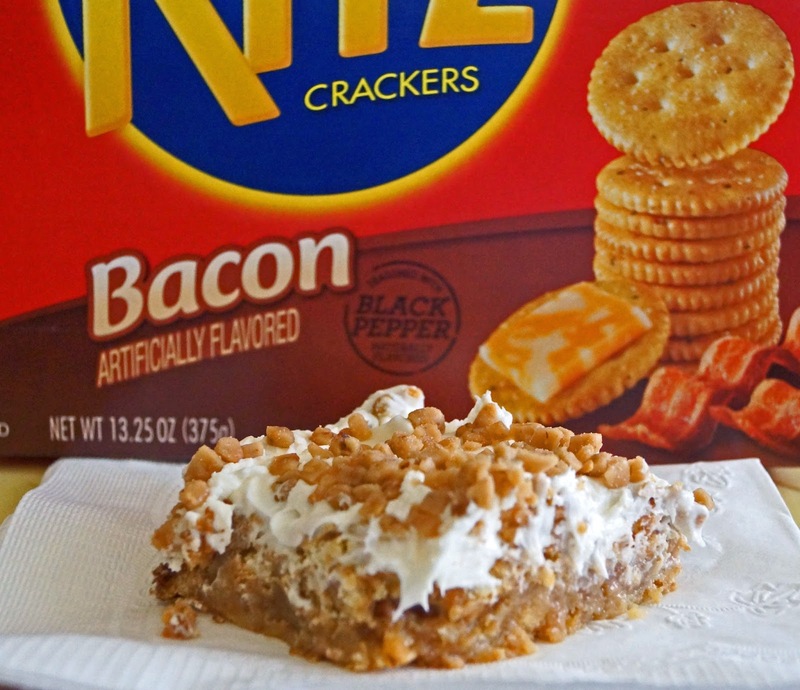 The ingredient list is simple and the only variation is the substitution of bacon for original Ritz crackers. These bars are decadent, sweet, salty and yummy delicious. We had some little visitors in our yard the last several days. 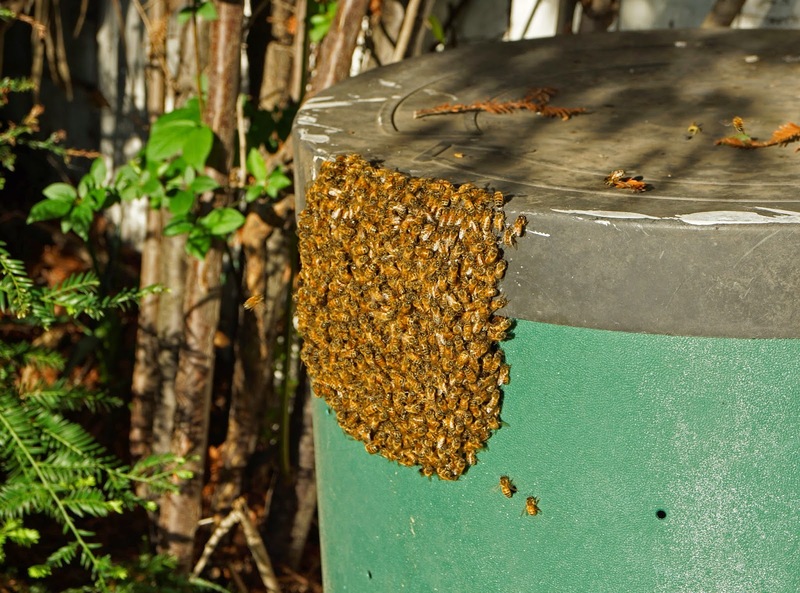 Ms. Goofy spotted this swarm of bees perched on one of our compost bins. What should we do? Run for the hills, grab a garden hose or do what most Americans would? We chose the later and Ms. Goofy checked her phone. According to the World Wide Web they would leave on their own. Well they did. I kind of wish they had stuck around. 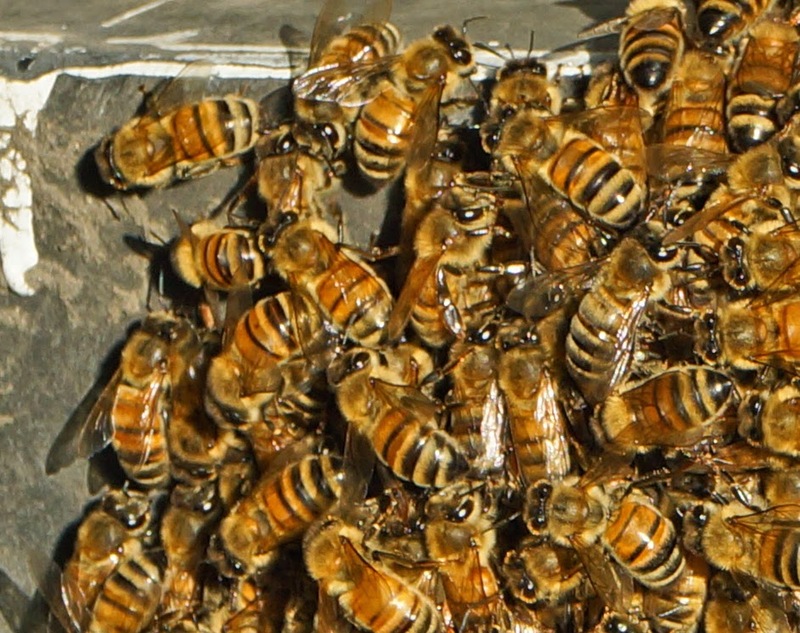 The honey pot is a little low. 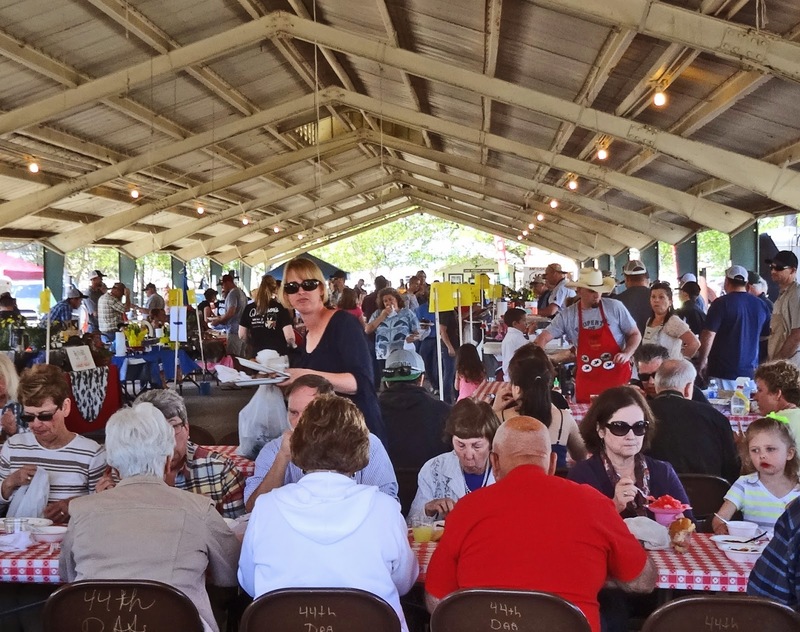 This was the scene at the judging table at the “10th Annual Western Days CattleWomen Rib Cook-Off in Colusa California. 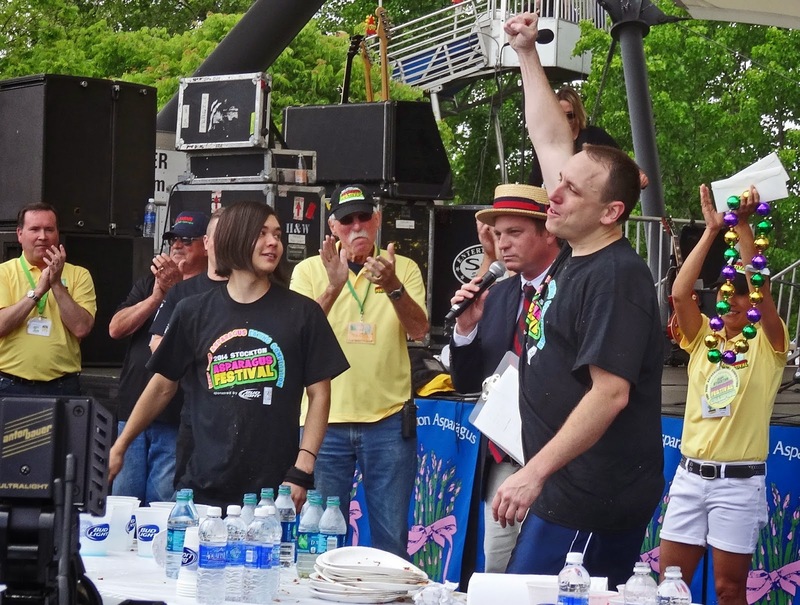 This was a huge offering of some of the most scrumptious beef ribs ever presented to this judge. 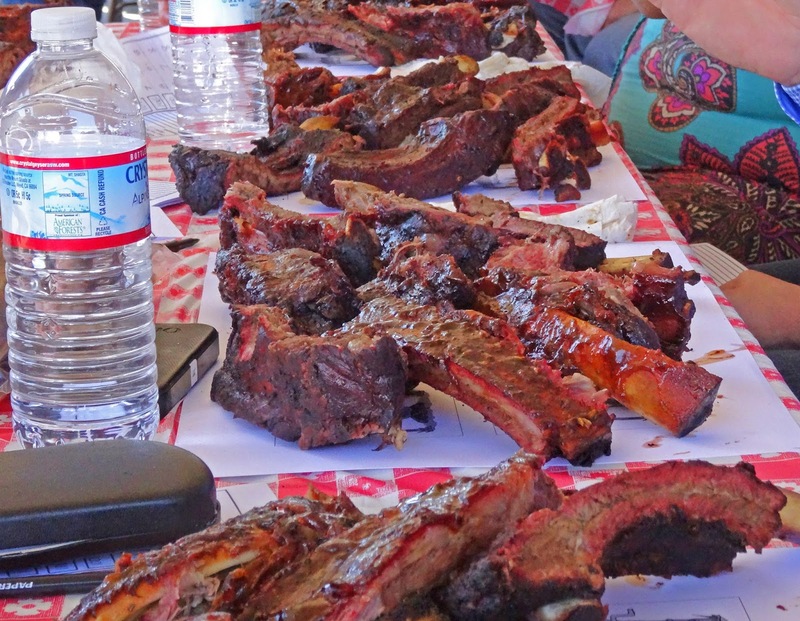 We were offered the opportunity to sit in on this feast and review of beef & pork bones. Normally Ms. Goofy and I judge KCBS sanctioned contests and are accustomed to the four meats consisting of chicken, pork ribs, pork shoulder and brisket. 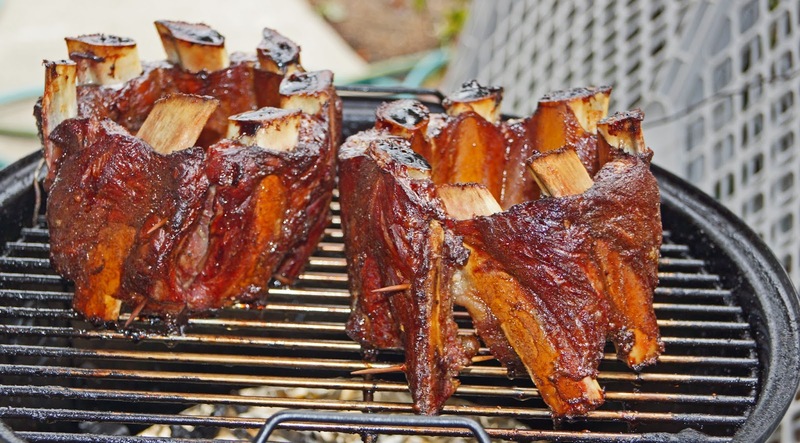 As some of you may know, I LOVE beef ribs. 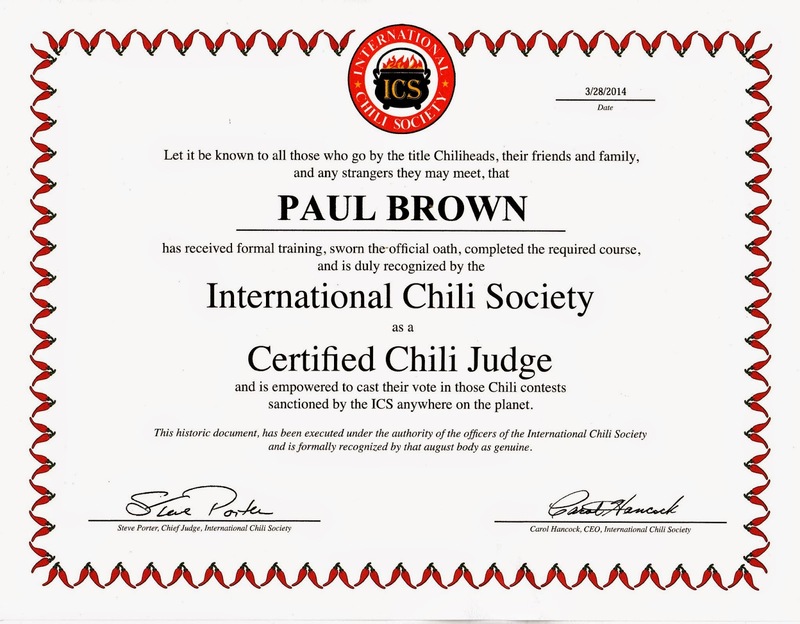 We felt privileged to don our shiny “Master Judge’ badges and enter this arena. 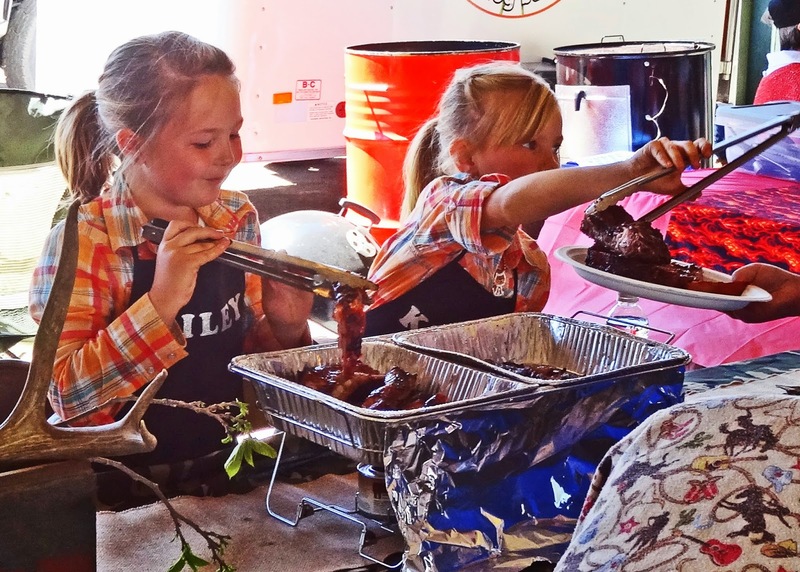 The rib cook-off was held at the three day ‘Western Days’ event located at the county fairgrounds. 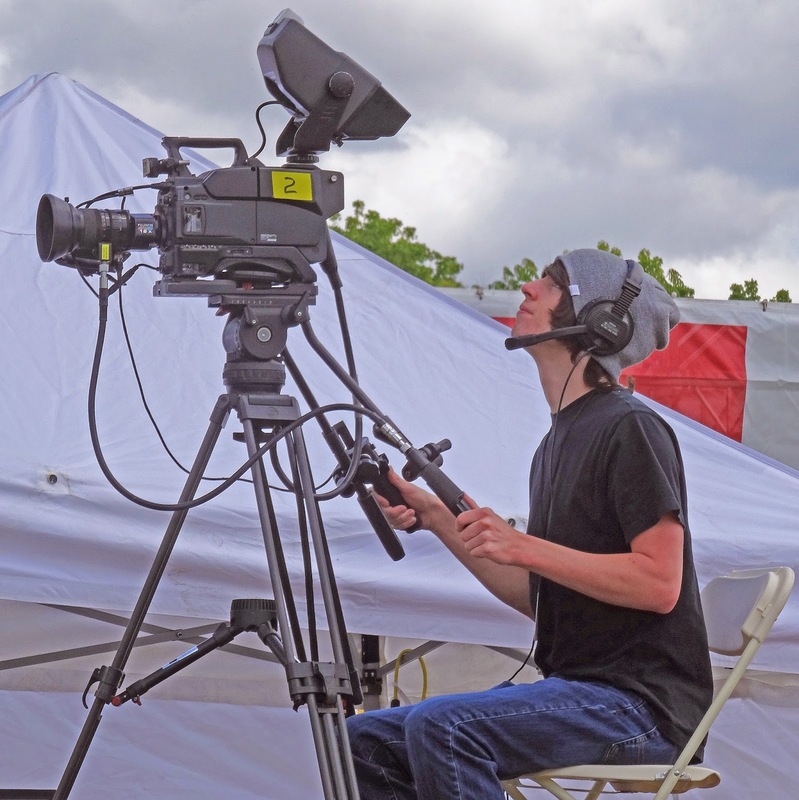 This contest was only a small part of a wonderful community event. 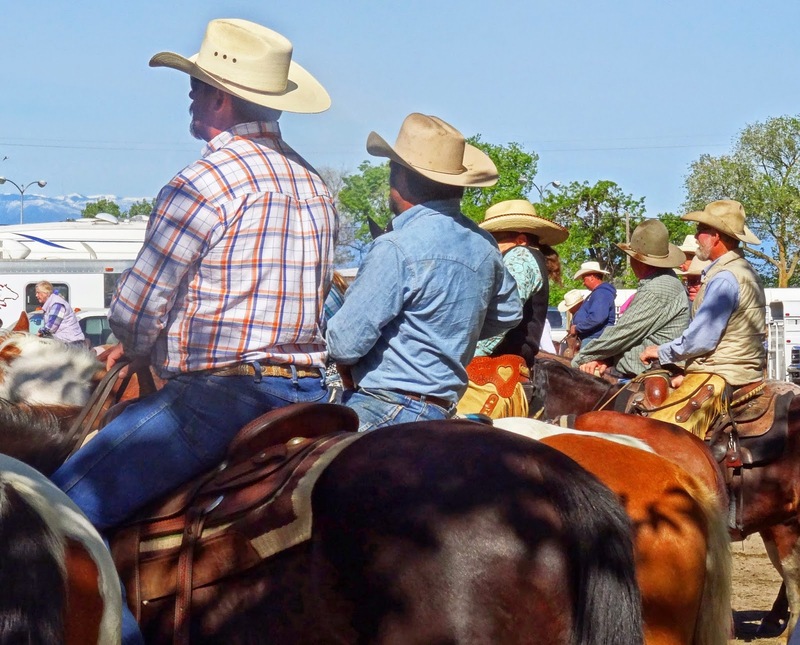 Western Days is a celebration which embraces the heritage of Western cowboy culture. Cowboy hats, blue jeans, and maybe a pinch of chew was the required garb to stroll these festive grounds. 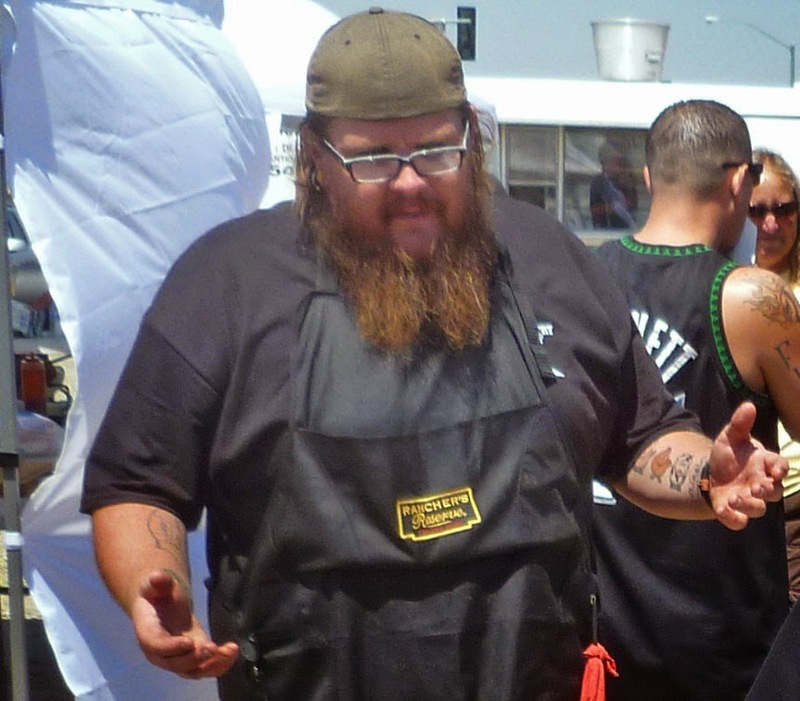 This Mad Meat Genius and certified city slicker purchased a hat to blend in with the crowd. I may have had the right attire but I need to work on my swagger. There were plenty of participants on horses. They were contestants in the many arena events such as; ‘calf branding, sorting, and penning, team roping, and of course the parade. 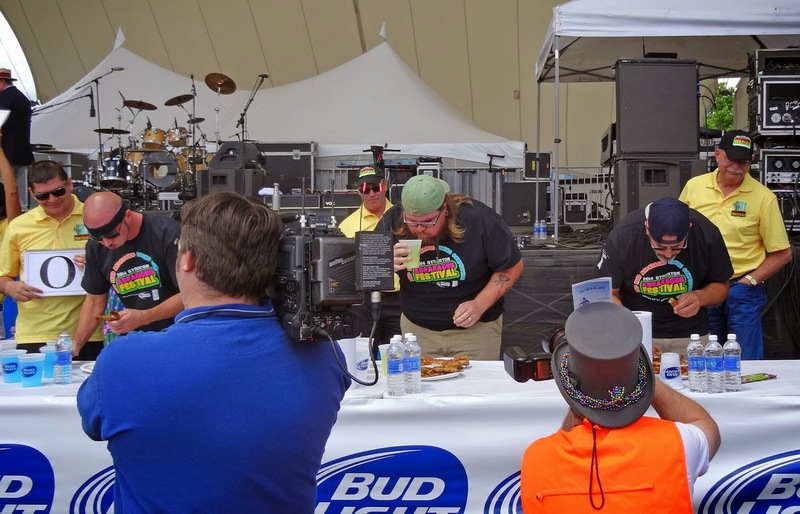 A Dutch Oven cook-off was held Saturday. I have already penned next years date on the calendar. My team of the “Meatmen” will have a year to get ready. A hallway was set up with vendors selling products with a Western theme. 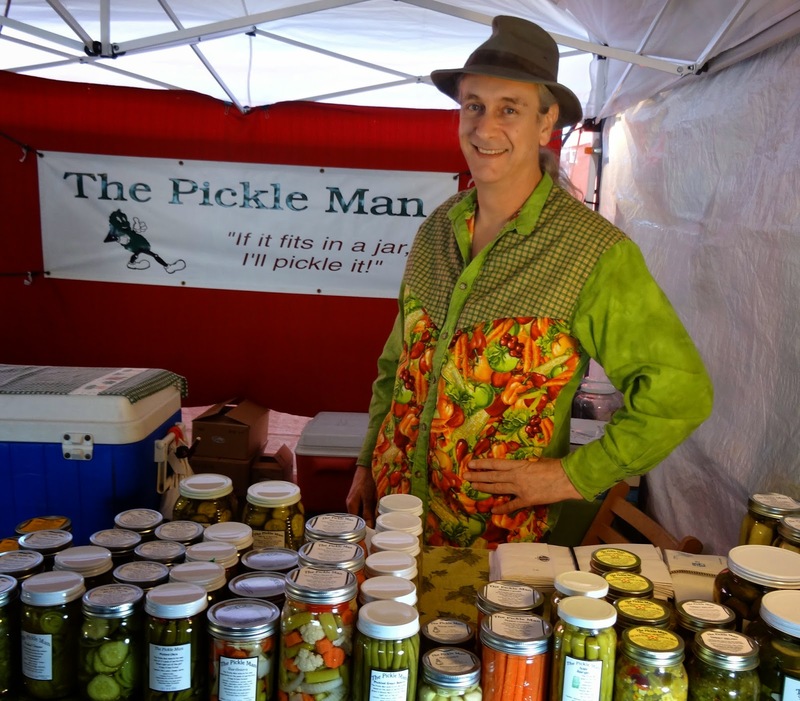 The ‘Pickle Man’ was one of my favorite stops. I may have sampled his various offerings twice they were so good. I picked up a custom set of tongs from a blacksmith vendor. This was a colorful market that was unique and fun. 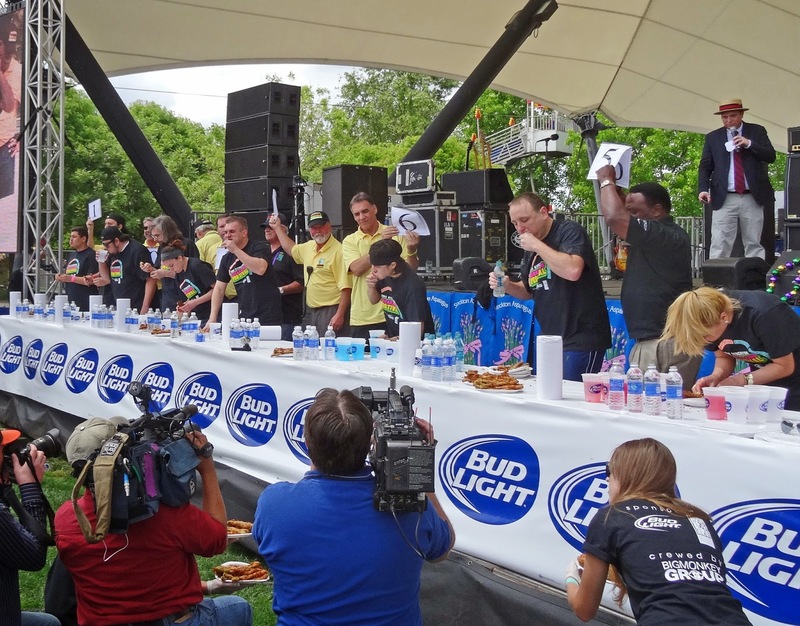 There were 17 teams present at this rib cook-off. 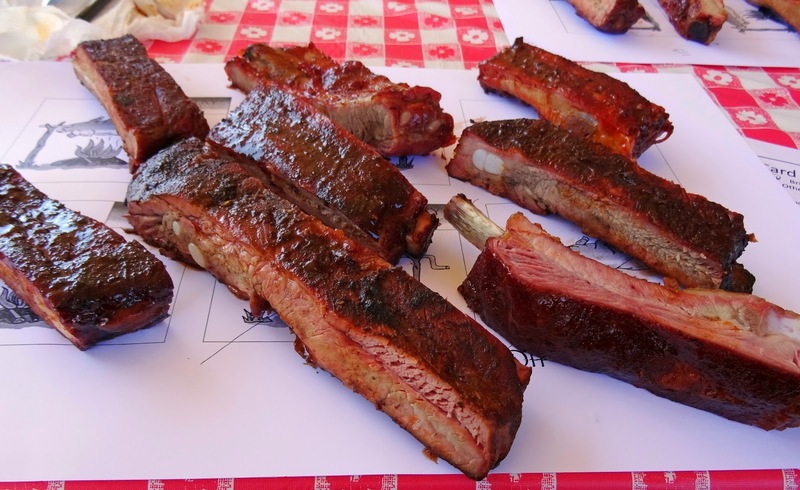 They paid an entry fee and were provided beef and pork ribs to cook. They submitted an entry to the judges and the rest was offered to the public for lunch. This lunch was a site to see. 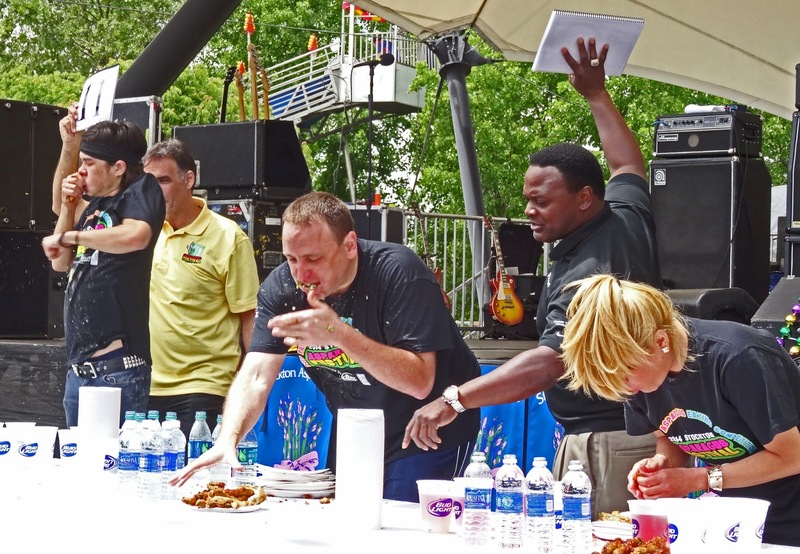 For a nominal fee the public was given a huge and I mean huge plate of bones, salads and dessert. 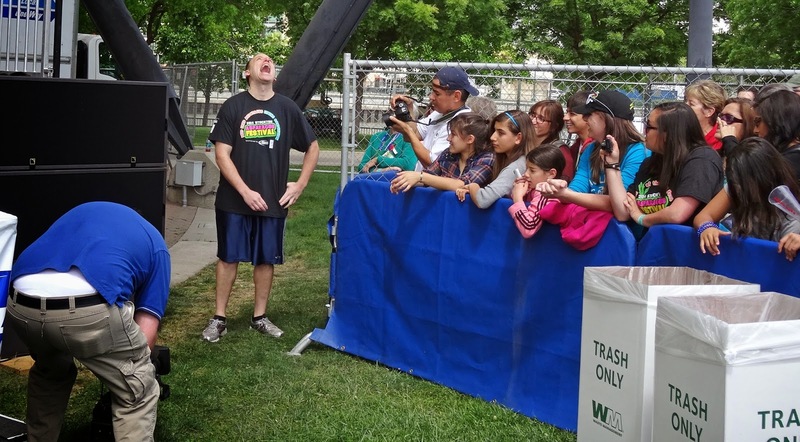 The hallway was packed with rib eating festival participants. This plate was so good looking I was tempted to get one. Using my better judgment and the fact that I had already burst my shirt buttons during judging I will wait till next time. 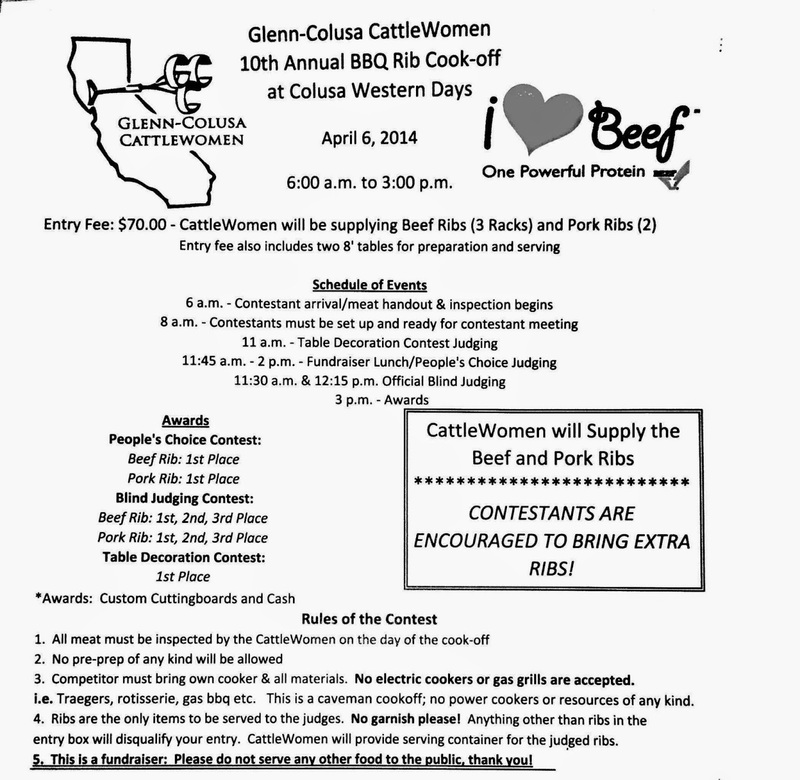 The Glenn-Colusa Cattle-Women know how to throw a rib cook-off. This was an event that left a smile on our face. 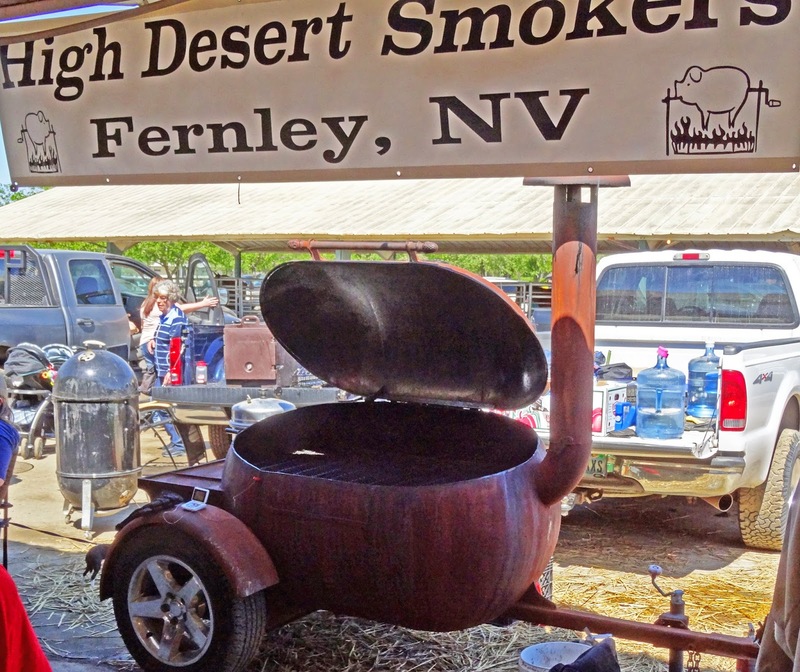 Next year ‘The Meatmen” will return and be cooking in the Dutch Oven event. I now have a cowboy hat and a swagger that originated from the Colusa Western Days. 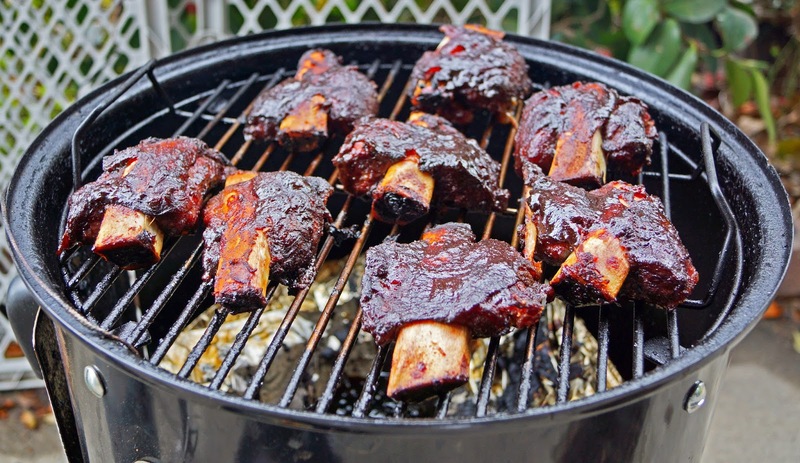 I LOVE beef ribs.